The big-girl heart pendant is about 2-3/8" at it's widest, and 2-1/2" long, counting the loop. It's a high-quality stamping, maybe brass, but more likely brass plated; and patterned with curlicues that are faintly reminiscent of Moorish art. I've added an asymmetrical garland and fringe of rich red Japanese seed beads, and Czech pressed glass pink and red hearts. 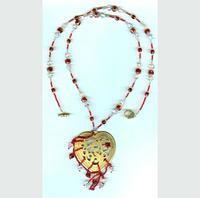 The colours are echoed in the long (approximately 34") necklace that supports the pendant. 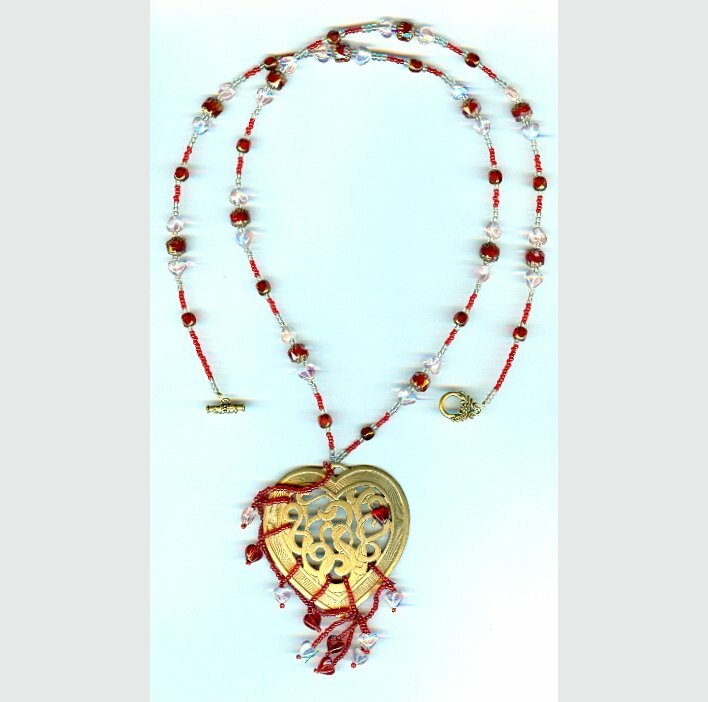 In addition to more red seed beads and pink hearts, the strand features fabulous red cathedral beads with baroque gold coloured sides. The clasp is an old gold coloured toggle set. 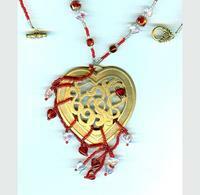 It's another big and beautiful long pendant necklace from SPARKLE PLENTY.